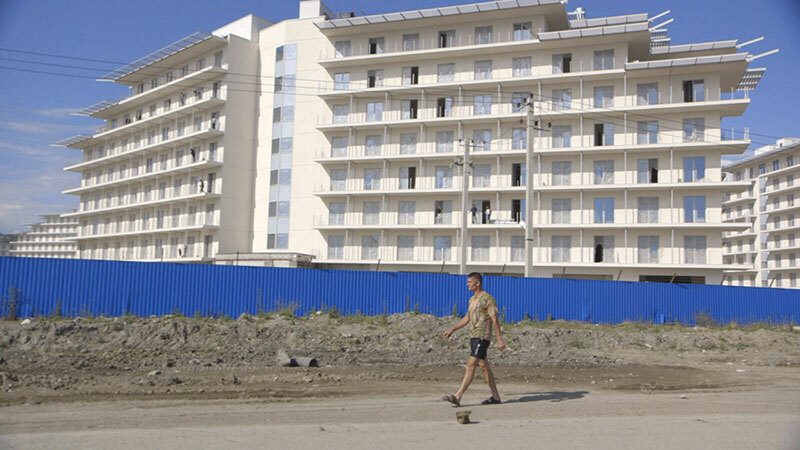 The winter Olympics 2014 changed completely a subtropical summer vacation place at the Black Sea: Sochi. Territories got occupied and the landscape was artificially transformed in a playground. In this long term documentary Steffi Wurster observes the drastic change of the bay, where new land is forced to become home of ice stadiums, hotels and new beaches. A paradox erasing the presence of other human beings, who used to live on the same ground before the construction plan was set through: people like Pascha, Lena, Ludmilla and Volodja. They lose their homes, their vegetable gardens and their jobs in the name of new apartments, presumed to be more comfortable.